May 27, 2015 – GTArcade is excited to announce the release of a new browser game Magerealm! The top game developer and publisher of 2014 is incredibly proud to bring players its first ever 3-D browser game: Magerealm! 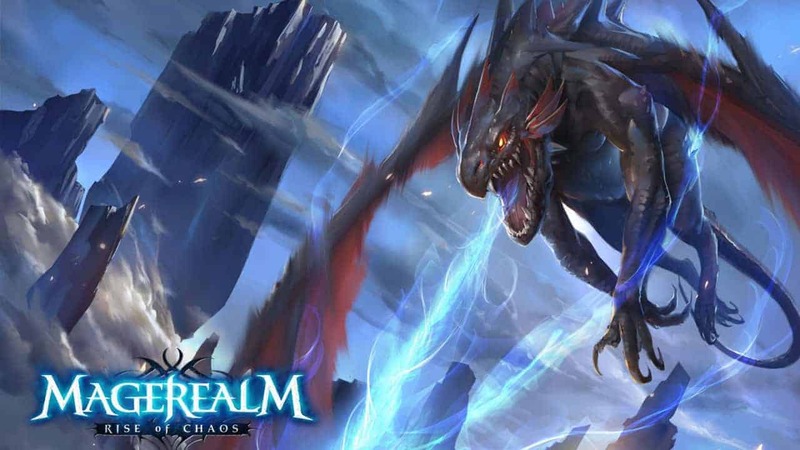 Independently designed and produced, with four character classes, and many heroes and angels at your disposal to diversify your experience, Magerealm is an incredible fantasy ARPG that will blow you away. The game perfectly combines great role playing with intense action by creating a mystical world full of adventure and peril, while not leaving out the fundamentals of any RPG games: highly customizable characters, skills, and much more! The world of Magerealm is full of infinite possibilities that allows players to write their own legacy exactly as they wish. Magerealm closed beta will begin on June 4th for all players. As an elite Mage sent by the Council of Magic to look for the 7 legendary relics to save the world and defeat the evil Lord of Demons, players are drawn into an epic war for the control of ancient relics. Along the way, you will discover secrets, encounter enemies and find allies when you least expect it. Long story short, Magerealm will enthrall you with its characters, graphics, plot and much more. In the world of Magerealm there are countless ways to increase your strength so that you can face any challenge along your journey. Runes, angels and heroes are just the tip of the iceberg when it comes to the infinite possibilities that Magerealm provides for players. What your team looks like, who you want fighting by your side through thick and thin and ultimately, what legend you become is all up to you. At GTArcade we know that no matter how much we say about our games, players want a first hand look at the game and its potential themselves. That is why we have launched a Teaser Site for you guys at http://mage.gtarcade.com/. On this site, you can get a first look at two of our classes: The Spellmaster and The Realmguard. You also get a look at some special items available for closed beta players as well as some look of our monsters and dungeons. We are really excited about the prospect of this game and so should you! Help us get the word out by sharing our site on Facebook and Twitter; tell your friends about us and we hope to see you soon in Magerealm! Are you looking forward to the Closed Beta as much as we are?